By making travel affordable to a wide range of social classes, railways became the first means of transport that made mass tourism possible. The popularity of railways grew with the introduction of special fares for holiday travelers. The practice of including the rail ticket in travel packages also added greatly to this. Significantly, the time of travel between the main transportation hubs and largest population centers to the resorts was one of the most vital pieces of information on posters promoting various destinations. The relatively short time of four and a half hours between Paris and spots on the French northern coast, such as St. Valery en Caux, could be an important factor to be weighed against other factors such as climate when making comparisons with more distant resorts on the Mediterranean coast. 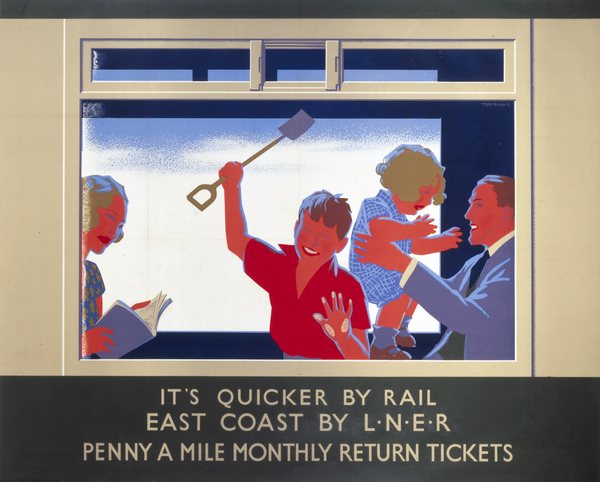 The advertising campaign of the British LNER company was entirely built around the slogan "Quicker by Rail," which promoted cooler, but closer beaches. 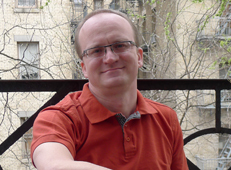 Hutton Christopher, C. Official Secret: The Remarkable Story of Escape Aids, Their Invention, Production and the Sequel. London: Max Parrish, 1960. Hardach, Karl. The Political Economy of Germany in the Twentieth Century. Berkeley: University of California Press, 1981. Middleton, Allan. It's Quicker by Rail: The History of LNER Advertising. Tempus Pubs, 2002. Cole, Beverley. It's Quicker by Rail. London: Capital Transport, 2006. The nineteenth and twentieth centuries saw the expansion of leisure time for lower middle-class and working-class Europeans, as well as a number of organized efforts to bring people out of crowded, polluted cities and into the countryside. Like many other social movements, this so-called "mass tourism" was a major logistic and technological effort, sometimes by private clubs or unions, sometimes by entrepreneurs, and sometimes by centralized governments.